Successful Planning Approval for J Rotherham Masonry Ltd.’s Site Masterplan. We are delighted to announce that planning permission has been granted to go ahead with the Office Building design for J. Rotherham Masonry Ltd as part of a wider site master plan! The site is located on an old airfield in the heart of the East Yorkshire countryside. ACA has been working closely with J. Rotherham Masonry Ltd who are a progressive stonemasonry company based in Holme on Spalding Moor near York. We have recently devised a site master plan for the exciting expansion of their company. The project promises to improve the infrastructure of the area whilst complementing the vernacular of the rural surroundings bringing employment to the area. The phased masterplan covers over 15000sqm. 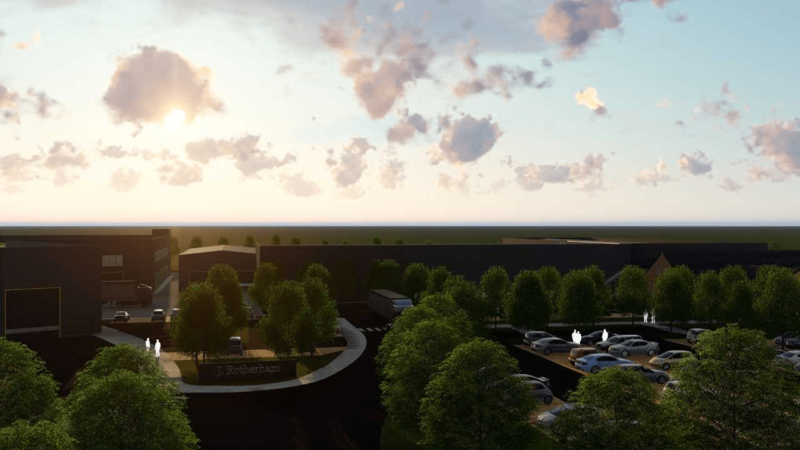 The scheme comprises of an office block, café, gym and industrial units, overall enhancing J. Rotherham Masonry Ltd.’s position as ‘Employer of Choice’.